Our verification process eliminates anonymous or duplicate reviews to ensure credible ratings. Get the inside scoop from students on what the trainings are like inside the course. We did the work so you don’t have to: get all the most important details right here. 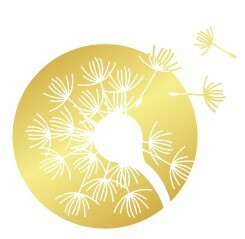 This site Is A community Sourced Project Created by the Placenta Encapsulation community, for those seeking to join us. Welcome! Did you receive adequate professional training on the benefits of maternal placental consumption? Did you receive adequate professional training on research confirming maternal-reported benefits to the extent that you feel confident answering client questions? Did you receive adequate professional training on the specific placental compounds that provide the benefits of maternal consumption? Did you receive adequate professional training on the risks of placental consumption and a professional risk communication training? Did you receive adequate professional training on normal and pathological placental anatomy & physiology including placenta and cord formation variations? Did you receive adequate professional training on common placental abnormalities a pathology lab may check for or parents might have questions about and how those could affect maternal consumption? Did you receive adequate professional advocacy training on common reasons placentas are sent to pathology, patient’s legal rights, questions for care providers, and tips for working with difficult hospitals? Did you receive adequate professional training on your client’s legal rights to their placenta and legally appropriate terminology when a hospital may be attempting to confiscate their placenta? Did you receive adequate professional training on sanitary precautions for care of the placenta, placental storage, post birth handling summaries for care-givers, and guidelines for placental transport? Did you receive adequate professional training on medications during pregnancy that may affect consumption and professional resources for determining medication safety of less common medications? Did you receive adequate professional training on genetic and acquired conditions that could affect consumption and the ramifications each condition could have on using the placenta medicinally? Did you receive adequate professional training on situations, factors, and conditions that could render the placenta unsuitable for consumption? Did you receive adequate professional training on gentle preventative care against maternal infection for your clients? Did you receive adequate professional training on work space sanitation? Did you receive adequate professional training on placental examination? Did you receive adequate professional training on preparing the placenta into medicinal products? Did you receive live video or in-person demonstration and precise training instructions on preparing the placenta into medicinal products? Did you receive adequate professional training on how to present your services, how to structure your informational meetings, explain your services, discuss logistics, and have natural ‘closing the deal’ conversations? Did you receive adequate professional training on professional practices with client bloodwork, and how to legally and appropriate handle confidential client’s medical information? Did you receive adequate professional training or a sample legal file including a professional agreement, an assumption of risk clause, a legal disclaimer, a release and hold harmless clause, force majeure, and entire agreement clause? Did you receive adequate professional training on cord blood banking? Visit our full review pages to discover student’s favorite things about each training, see and compare details easily, read student reviews, and download the courses’ syllabus. Your valuable review will empower others to find the perfect training for them. By submitting your review to this site, you are consenting to be published. Only online training institutions reviews have been published at this time due to a lack of statistical data from location-based training such as ProDoula or Best Placenta Encapsulation training. Therefore review submission does not guarantee publication for location-based trainings. PETrainingReview does not selectively withhold the publication of reviews based on content. We invite students to join us in creating a culture of honor for the institutions that have created and invested in our field, and while we encourage you to leave comments for the purpose of bringing clarity and improvement, we honor all perspectives and experiences. Unless indicated with an asterisk (*), all material on this site is published unedited from the training institution’s website or represents the unedited publication of a student’s review. By submitting your review to this site, you are consenting to be published. Only online training institutions reviews have been published at this time due to a lack of statistical data from location-based training such as ProDoula or Best Placenta Encapsulation training. Therefore review submission does not guarantee publication for location based trainings. PETrainingReview does not selectively withhold the publication of reviews based on content. We invite students to join us in creating a culture of honor for the institutions that have created and invested in our field, and while we encourage you to leave comments for the purpose of bringing clarity and improvement, we honor all perspectives and experiences. Student’s reviews reflect their opinions alone and not those of PETrainingReview. The data on this site has been curated for reporting according to standards that have been impartially applied. For example, if four votes of one star were submitted to a training program from the same IP address and time-stamped within seconds of one another, that action is flagged as defamation and not included in the training’s score average. 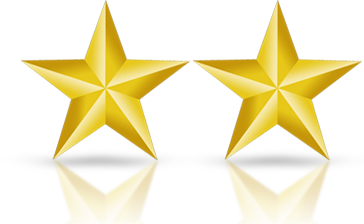 Training institutions’ rating is reported in numerical and visual presentation with the number of whole stars being rounded down to whole numbers. The star system is not related to the ‘scorecard’ list of topics covered. For that section of reporting, if more than 50% of students report that their training did not provide adequate professional training on a topic, the comparison chart of material covered reports ‘No.’ If more than 50% of students report a topic was covered, the comparison chart of material covered reports ‘Yes’. This chart will be updated quarterly or else updated at the request of the training institution if they have updated their materials and verified student reviews are submitted as proof of this—PETrainingReview will seek to report their improvement in a time sensitive manner. Data for PETrainingReview will be updated monthly; please allow up to 30 days for your submitted review to be published on this website.